The Cleveland Cavaliers of this season are so different than the team that made the NBA Finals last year. And one of those differences that the Cavaliers could use this year is a veteran and NBA champion is not named Kyrie Irving. During media availability on Thursday, LeBron James spoke of what players no longer on the Cavalier that he would like to have on his side in this year’s Finals. One of them was an old friend, and possibly his best friend, per Spencer Davies of Basketball Insiders. Dwyane Wade and James played together as members of the Miami Heat and won two championships together. When Wade decided to join the Cavaliers, James was very excited, and for good reason. But things did not pan out in Cleveland, and Wade left at the trade deadline. James has fought many battles with Wade, and also has competed against him before they were teammates. If anyone knows about Wade’s abilities, it’s James. The fact that James is admitting that there have been moments during these Finals where he has missed Wade is significant and staggering. James clearly knows he does not haven enough help on the current Cavaliers team. 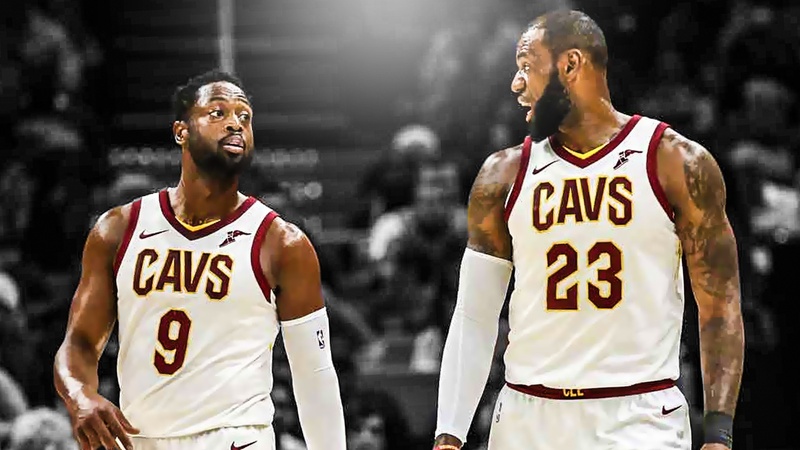 If Wade were on the team with James, that would definitely make the series different. He is another guy who makes plays on the floor and has the pedigree to deliver in big moments. But the Warriors would still be the Warriors, and the Cavaliers would still be subpar on defense. Wade does not fix any of those things.